Words and photos by Peter Amend. 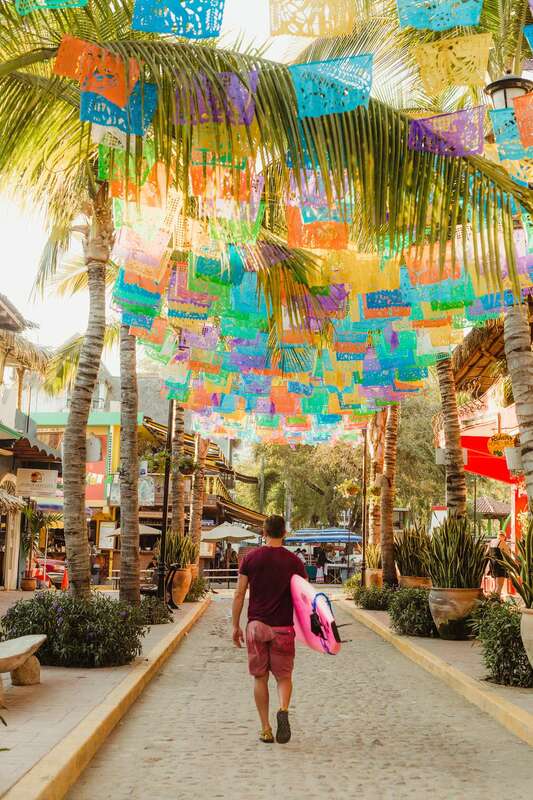 The Mexican town of Sayulita is a vibrant, colorful surf and fishing village just north of Puerto Vallarta. 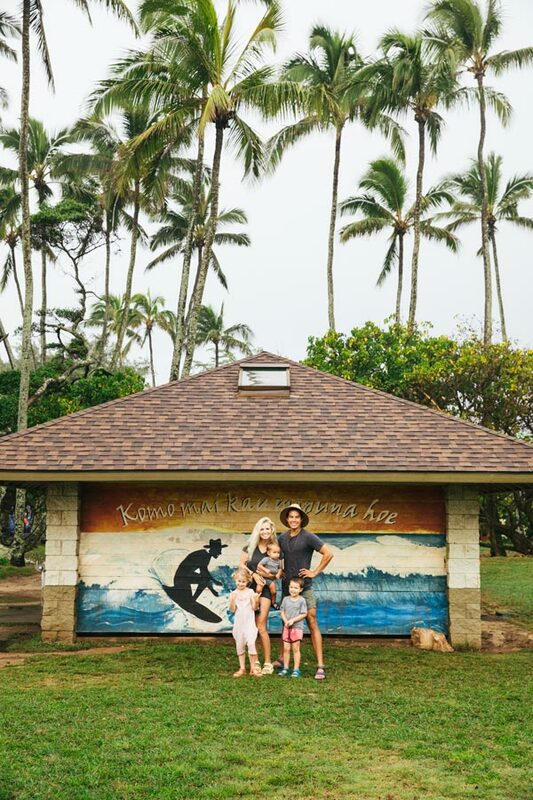 My wife Sarah and I took our first surf lesson here six years ago and honeymooned there a year after that, so it was a no brainer to introduce this​ special city to our three-month old-daughter. 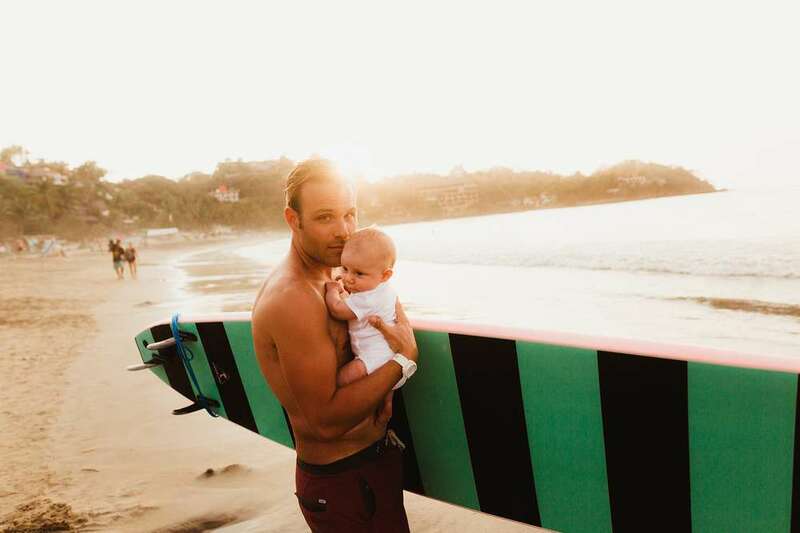 So, five years after we walked these streets as newlyweds, we came back with baby​ Juniper in search of waves, street tacos, fresh smoothies, and chill vibes. 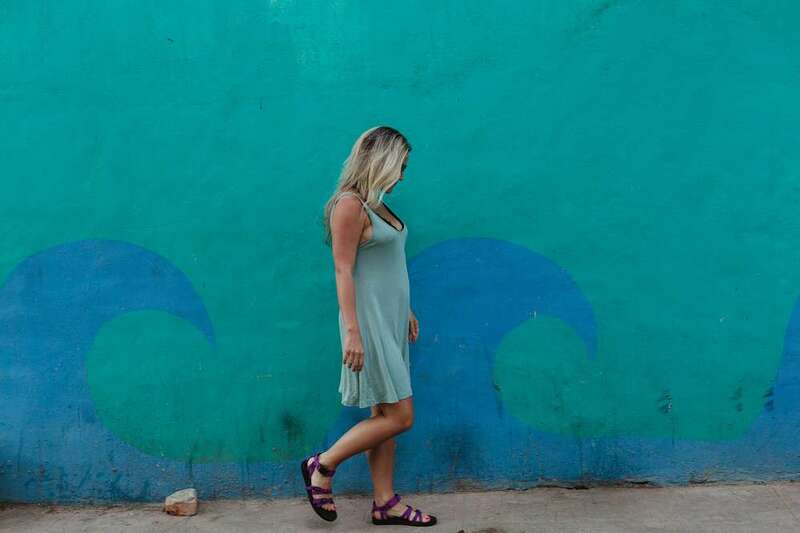 We hardly knew what to expect when traveling to a developing country with an infant, but we loaded the car seat into the taxi knowing we wanted to make the most of Sarah’s maternity leave. Traveling internationally has always been important to us—it couldn’t be that much harder with a baby…right? Right. We scored a good deal on flights from Fresno and after a layover in Phoenix, landed in Puerto Vallarta. After an hour-long, $40 taxi ride later, we found ourselves at our cozy Airbnb, throwing on swimsuits and ditching our winter gear. 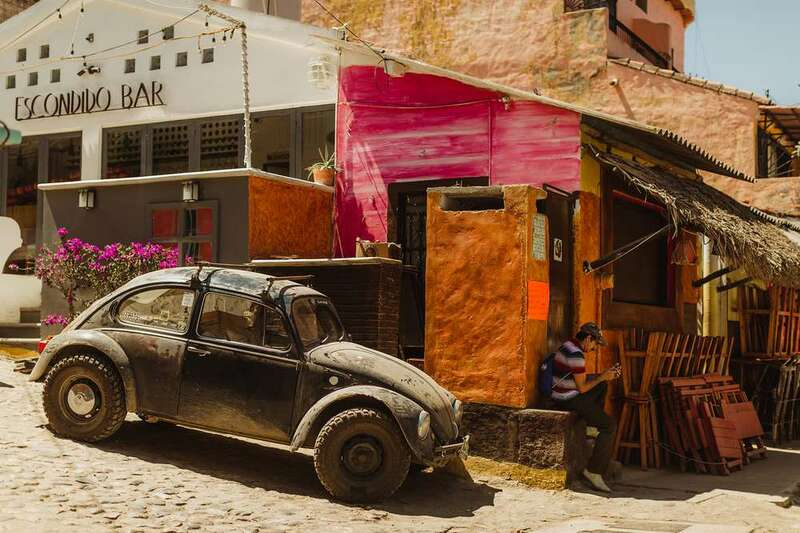 Home base was a rental right in the middle of the flag-lined downtown area, nestled above a fun shop called Revolucion de Sueno that sells locally sourced, craftsman-made textiles and gifts. Turns out pushing the stroller around town on cobblestones wasn’t the best idea, so we pulled out the wearable baby carrier and headed to the water with a diaper-clad baby—slathered in sunscreen—for an afternoon of riding waves and playing on the beach. 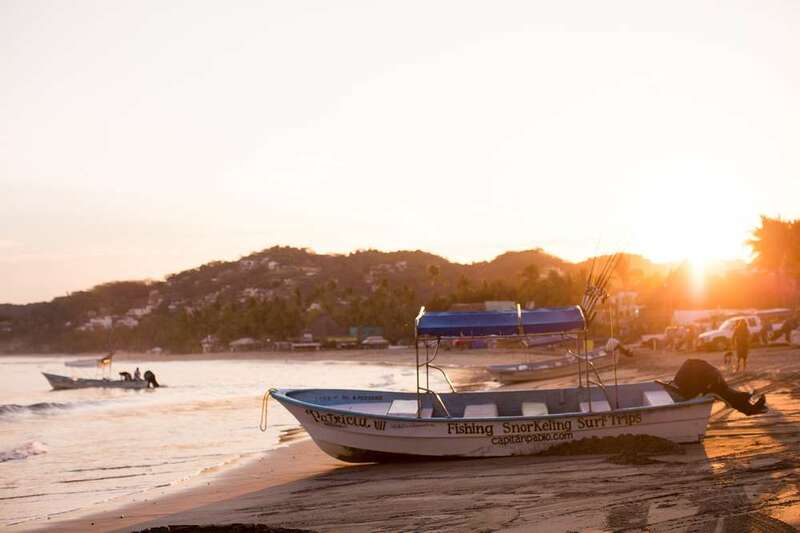 The best part about the surf break in Sayulita is that, whether you’re an experienced surfer or first timer, there’s a wave for everyone. The main beach is only a short walk from the heart of the city, so if you like to play on the sand or in the waves, you won’t find a more convenient place to stay! 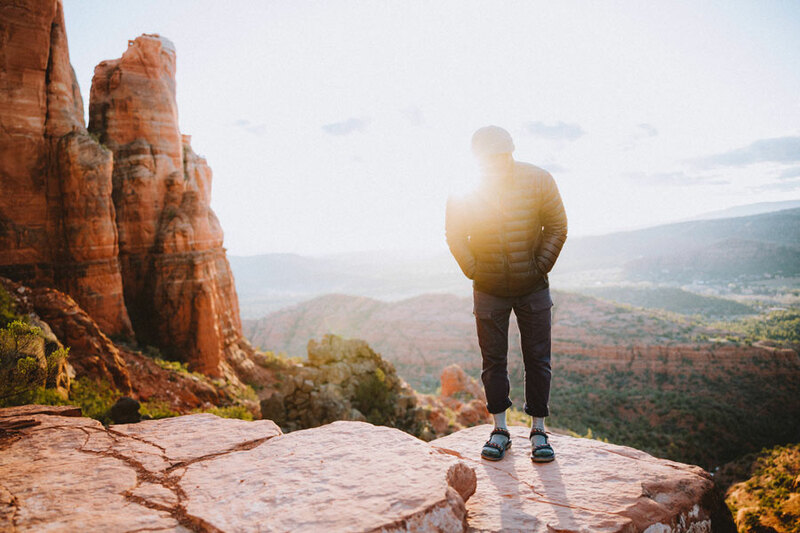 The town itself is pretty small, so there’s a great chance that anywhere you stay will be within a twenty-minute walk downtown. 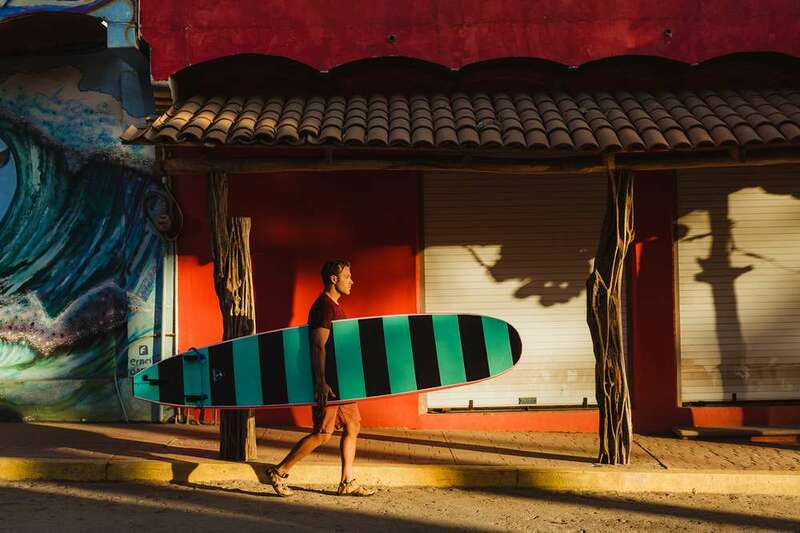 Many of the local board shops have rental boards, but you can get almost any style of board you’re looking for right at the stands on the beach. If you haven’t surfed before, grab a soft-top longboard and pay for a few lessons to feel more comfortable in the waves before you venture out on your own. 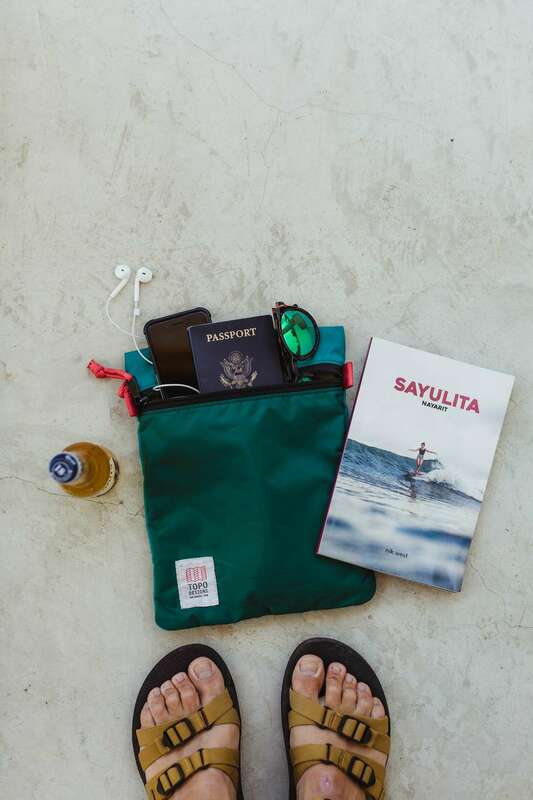 Sayulita Surf School will hook you up with the right gear, and since the water is warm you won’t need a wetsuit. All you need is a swimsuit, good attitude, and a reminder that you’ll swallow a little salt water before you learn to hang ten. If waves aren’t your thing, you can explore the coastline on a stand-up paddle board for a more mellow pace. The fishing in the area is pretty epic as well and you can charter a boat on the south end of the beach and head out to the open ocean for some blue-water hunting. There are even some offshore destinations that play host to incredible wildlife if you’re into diving or snorkeling: dolphins, whales, manta rays, and all kinds of marine life can be viewed at Las Marietas Islands. This protected marine reserve includes three islands and an underwater mountain range that creates a world filled with reefs, swimming caves, and picturesque beaches. The best part of traveling? Finding foodie spots. 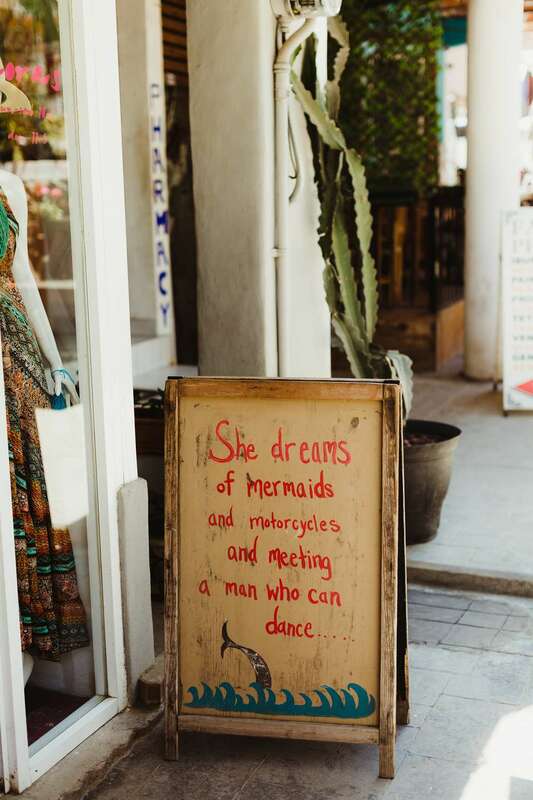 For us, all the fun lies in exploring the town and getting stoked for the next meal. 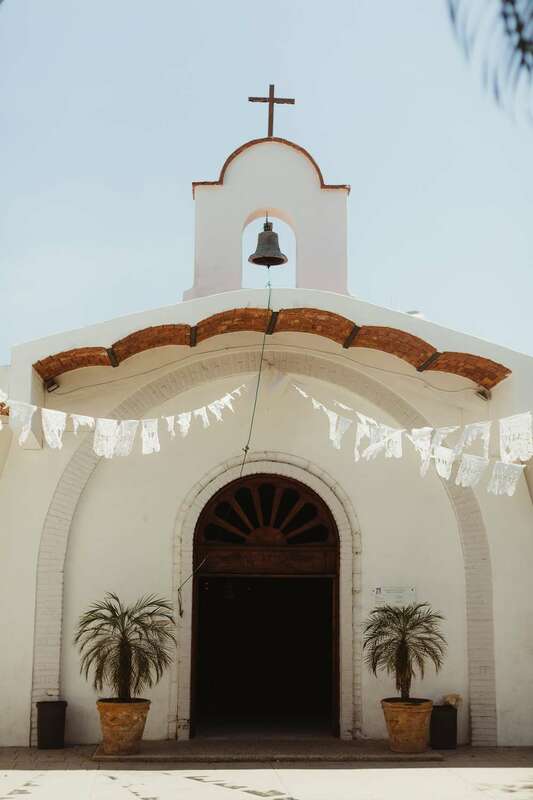 In Sayulita, the restaurants are “open air,” so you can roam the streets and scout out the best smells. 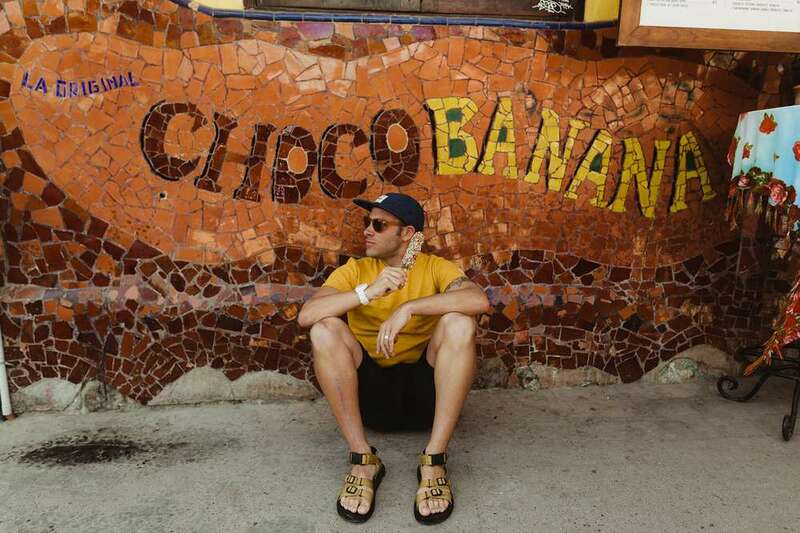 There are way too many favorites to list, but a couple hotspots stand out: ChocoBanana has, well, chocolate bananas. Frozen. Covered in toppings. And all the other breakfast stuff you’re used to. For pizza (even gluten-free crust!) hit up Rustica for a wood-fired pie that’s to die for—the perfect post-surf carb load. Beware of food coma! 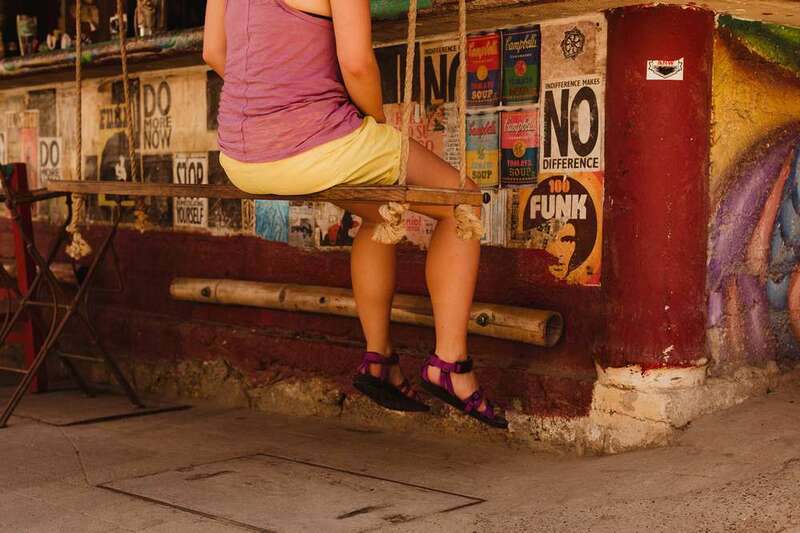 La Reinita is steps from the sand if you’re craving a rum popsicle or spiked shaved ice. El Patio is right across from the surf school so you can pour down a tasty latte during the morning surf check. And for the best authentic Mexican meal, the streetside Mary’s restaurant can’t be beat. 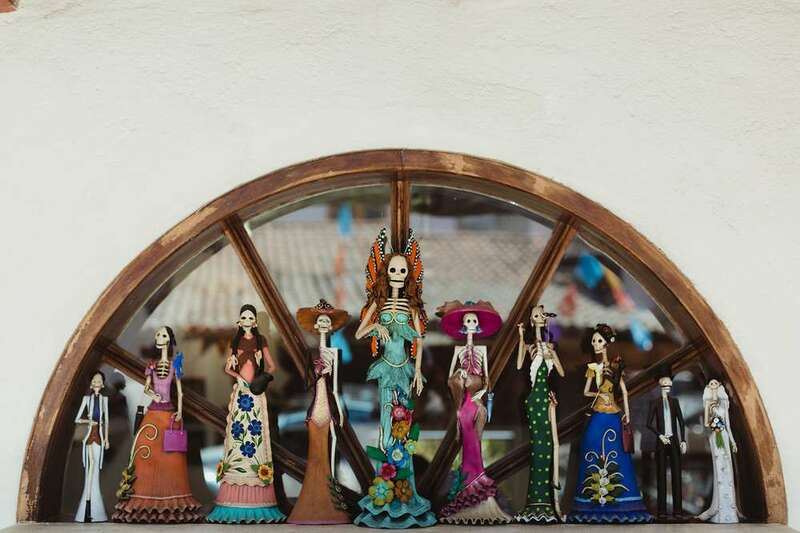 And last, but certainly not least, have a fine dining experience at Don Pedros, which overlooks the surf break. If you’ve traveled through developing countries before, you’ve most likely experienced “travelers’ hazing,” or found yourself “praying to the porcelain god.” So, as luck would have it, and within hours of each other, we both got violently sick, taking turns losing our breakfast in the toilet. These kinds of circumstances are hard to plan for and when you’re caring for an infant things get real, and quickly. Some things we were reminded of: Ginger ale and Pepto Bismol are your friends. Banana smoothies are not. Don’t brush your teeth with tap water or swallow water in the shower. Oops—Montezuma usually gets his revenge, so you learn to roll with the punches. It’s wild that after years of traveling south of the border, we finally got ‘lucky’ on our first trip with our daughter in tow. A story for the grandkids, I guess! It’s always tough leaving a friendly place like this, and especially saying goodbye to one of your favorite waves. Looking out the back window on the taxi as we headed home, watching the breakers peel down the coastline, I’m reminded that just as the waves return to the beach when the tide pulls them back, Sayulita’s charm will always bring our little family back to play in its warm Pacific waves. 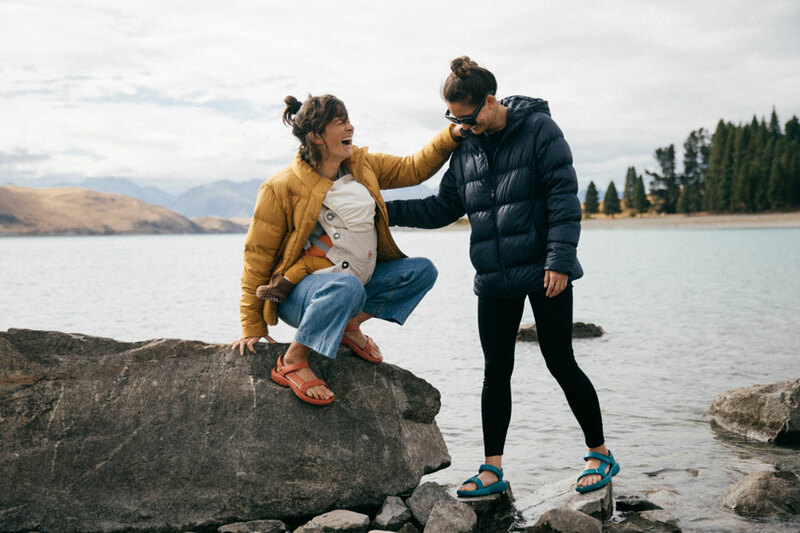 Shop the Alp Collection and explore the sandal’s history, then show us how you #StrapIntoFreedom on Instagram @Teva.